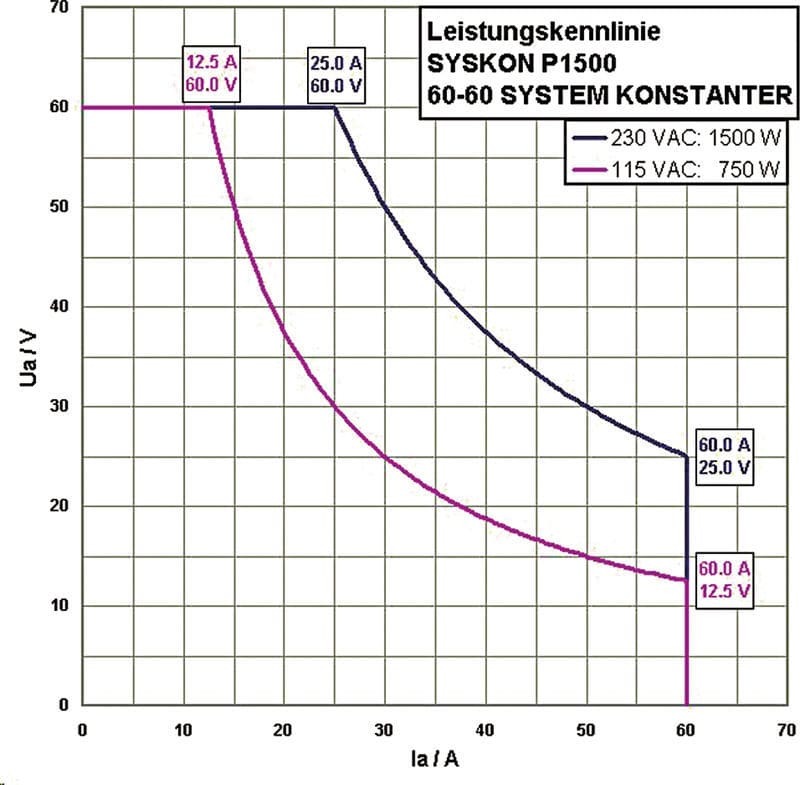 The innovative new SYSKON series of KONSTANTER power supplies provides you with top quality manual and remote controllable DC power supplies for laboratory and system use. Equipped with active power-factor control (PFC), it supplies 500 through 4500 W of power at up to 60 V and max. 180 A with characteristic UIP curve. 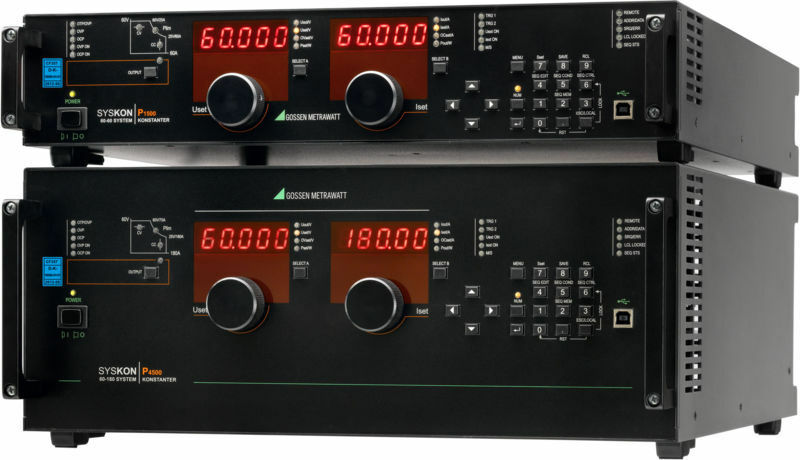 Special switching controller technology and matching status controllers assure high dynamics and short response times. 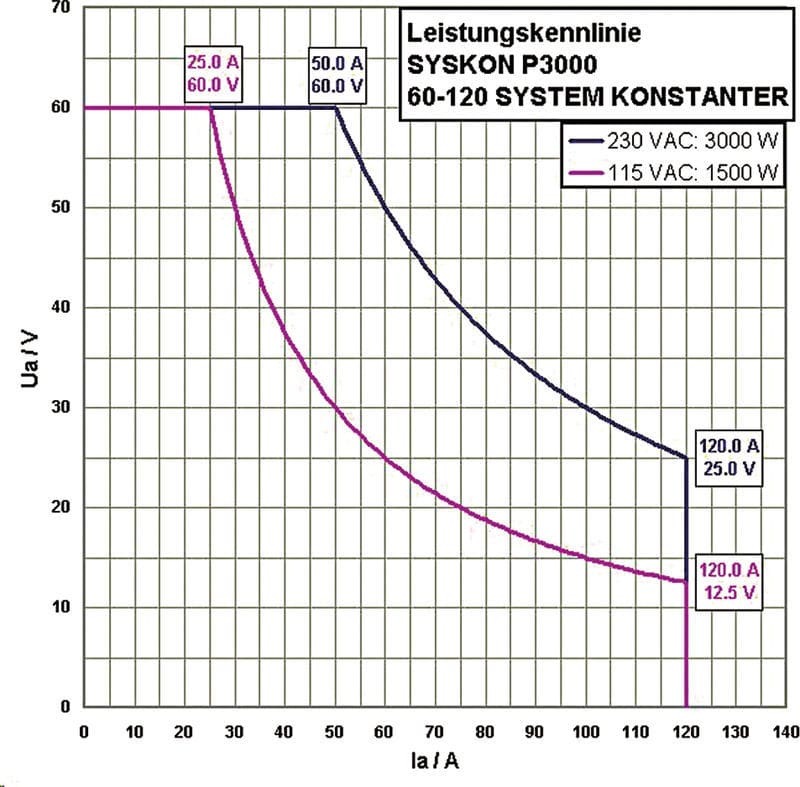 The setting range for output voltage and output current can be restricted by specifying setting limits.